1. Heat 1 Tbls olive oil over medium-high heat in a skillet. 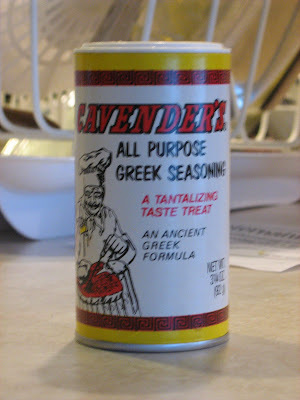 Add chicken; sprinkle greek seasoning over chicken and saute until cooked through. Cover and set aside. 2. 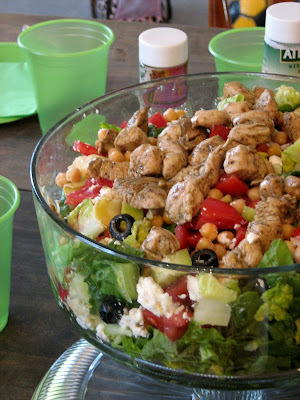 Put romaine lettuce in a large salad bowl. Add remaining ingredients and toss lightly. Isn't that seasoning the best? I'll have to try your salad; I use it to make a Greek turkey burger.